I always wanted to be a mom, and when I found out I was pregnant the first time, I prayed for a boy. That might sound odd, especially since I am a girly-girl, but I always found boys to be a little easier. I mean playing catch with a ball is much easier for me than coming up with a huge story line for Barbie and her friends. And I imagined the freedom that boys would leave me while they explored outside getting dirty and such. It didn't take long to realize that even though I loved my boys, they were not the cakewalk I had envisioned while begging for a boy! And that desire to find an outlet that would understand the work of a boy mama led me to an amazing resource, Warrior Prayers by Brooke McGlothlin and her site, The MOB Society. For the last year and a half, I've worked on the skill of praying scripture for my boys and seeking the support (particularly emotional) of other boy mamas in this group. It's been amazing. When I heard that Brooke had upgraded Warrior Prayers, a short ebook, into a fancy "real" book I was all about it. 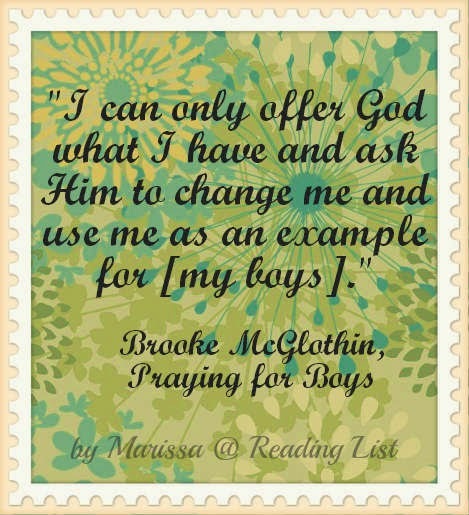 I am still surprised how fast I read Praying for Boys: Asking God for the Things They Need Most. This book is extremely similar to Brooke's ebook. It is a guide on praying scripture for your little boys. The plus is that Brooke has added a ton of her own story into the chapters that give you a chance to peek inside her life and she desperately seeks the Lord on her knees in prayer for her sons. The opening of the book is wonderful because Brooke shares how she started the journey to pray scripture for her boys: Where the idea came from, why she feels it works so well and why she feels it is important, or rather essential that all parents pray scripture for their boys. There are twenty-one chapters that focus on different attributes to pray for your son(s). In each one there are ten scripture prayers to say for your son with the actual Bible reference right there (the prayers are not verbatim but restated so that it flows as a prayer). Each chapter opens with a little story and insight from Brooke on how that particular attribute is something she is seeking for her little warriors. I really enjoyed all the new stories that Brooke shared on her boys. The mentions of how even though she is a serious prayer warrior for her boys they are still kids, they still cause her strife and worry, and they still disobey and push her buttons. There is something comforting in the reminder that we are all human and face daily challenges because when you read about moms that are writing awesome books that many consider life changing, it's hard to not think they have it made. The chapters in this book also allowed Brooke to discuss more why she is praying for each attribute for her sons. This is the part that puts this book in the boy mama category because of course girl mamas need to pray for their daughters, but we all know boys and girls need different prayers because their roles are different simply because they are different! On top of the great source of scripture prayers to get you started on this journey of being a prayer warrior for you little man there are some great resources in the back of the book to guide a group through a 21-day prayer challenge. 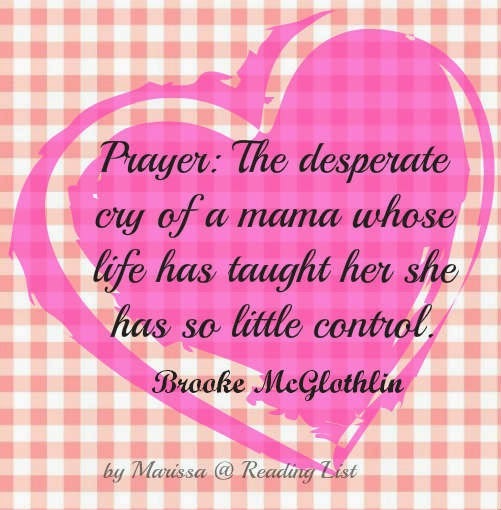 These prayer challenges are what lead to Brooke's first ebook release and how I found her to begin with! 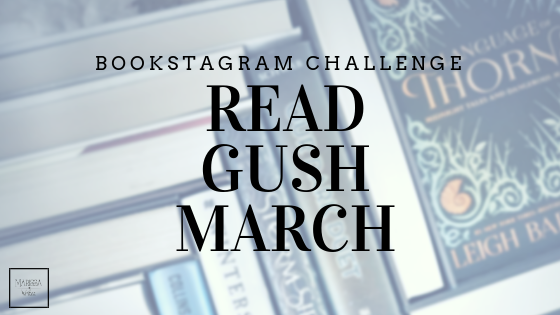 To help with these group challenges there are discussion questions at the end of each chapter (you don't have to do this book as a challenge or answer the discussion questions, but it's a nice bonus if you feel compelled). I'm giving this book four coffee cups because I truly enjoyed it. The only reason I give it a perfect rating is because I was hoping for newer prayers and different focuses, but I understand that expectation is not very realistic. Honestly, if you are a boy mama, this book will help you cry out to God to care for the boy that you are trying to raise. This is a wonderful book for any parent or grandparent looking for some specific direction when it comes to praying for the little boy in your life (it doesn't matter just how little that boy might be). And yes, this is a concept that could easily be used with girls, but again, the characteristics that are being requested in this book are specific to boys. There is no doubt in my mind that praying and asking God for help with raising your boys is the only answer for many of the stresses mamas know. The power of prayer cannot be defined in simple words but it's results are amazing. This is the number one tool I use when it comes to crying out for help from God when it comes to the moments I don't know how to mother such amazing little guys. Do you daily pray scripture for you kids? Have you seen any fruit from your labor? If you are a boy mama, does this book sound like something you'd be interested in? 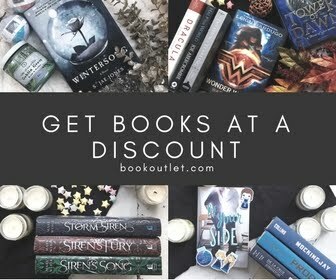 If you are considering adding this book to your home library, please use my affiliate link below and support Reading List in the process. Thank you!